It will come as little surprise to the historically-minded musician that when flautist Cléo Palacio-Quintin and viola da gambist Elin Söderström sought to develop a series of variations based specifically in early music rhetoric, they arrived at the theme La Folia. Dating back to the late 17th century, it is one of the earliest pieces of music that came to function primarily as a blueprint for compositional variation and improvisation, though originally existing as a dance. Not unlike the twelve-bar blues progressions that emerged in the 1950s, La Folia consists of a rather simple chord structure and fixed melody set to sixteen bars in a minor mode and triple meter. The list of documented variations of the theme is staggering: ranging in the hundreds, contributors spanning from Vivaldi to Vangelis, and arrangements running the gamut between solo repertoire and full orchestra, with some featured in films, and some even set to text. During the Renaissance and early Baroque, the theme was intended to occur in performances as a sort of bookend, surrounding the variations at beginning and end, with the quoted material often a simple elaboration or development of the melodic and harmonic content. Such traditional conventions are generally no longer in use, but what has persisted as a unique feature of La Folia is the fact that nearly every variation has introduced something progressive and enriching to the theme while still maintaining a portion of its original character. What is it, then, that has kept this creature churning and continually manifesting new faces for over 300 years? Naturally, the simplicity of the musical phrase itself can be said to foster a highly adaptable, exploratory, and plentiful attitude. There are a number of elements that can be extracted as the skeleton for something quite contemporary and unusual: the unadorned harmonic progression and bass movement, or the melodic and contrapuntal architecture, for instance. Unlike many other quotable themes, however, La Folia also plays incubator to a host of qualitative characteristics that render it ripe for a range of more abstracted interpretations. It boasts strong aesthetic ideals that define the personality of the music, most of which are associated with the development of its performance practice, including tendencies toward rapid movements and virtuosic gestures, noisy and raucous temperaments, incessant and manic repetition, and the exaggerated exploitation of various instrumental idioms. It also embodies more conceptual notions that encompass the social and psychological implications the theme has carried over the centuries: sentiments of madness, lunacy, and unhinged emotion; raving, anxious, and relentless behaviour; and, feelings of being in direct opposition to something else, or being temporarily disjointed and estranged from reality, as in the way one might briefly lose oneself in times of transition. Although both sides – the more literal, and the more abstract – are equally interesting contenders for variation, the notion of stewarding a sort of collection of La Folia variations is relatively, if not altogether unheard of, and it is the ability of the Les Folles Alliées variations to embrace the full range and flexibility of the theme – thereby serving as a testament to its inexhaustibility – that is undoubtedly the project’s shining strength. 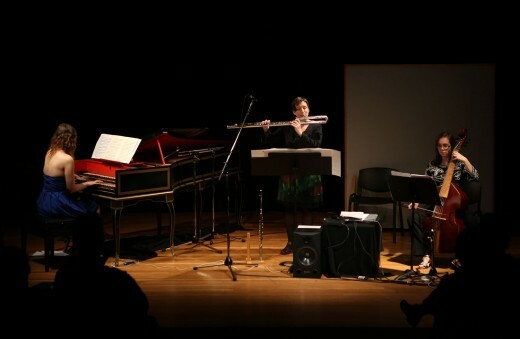 The Montréal-based Les Folles Alliées (“the foolish allies”) came into being in 2011 when the duo of Palacio-Quintin and Söderström, known as the experimental ensemble, Fiolûtröniq, merged with harpsichordist Katelyn Clark, who performs both historical and contemporary repertoire, to collaborate with eleven Canadian composers of diverse musical styles on a series of short variations on La Folia. Directions were given to employ the instrumentation of flute(s), viola da gamba, harpsichord, and electronics either in solo, duo, or trio; however, for the most part, the composers were left entirely to their own devices and desires in developing a particular path for interpretation. The completed project was premiered in Montréal on March 8th, 2011 – an apt celebration for International Women’s Day considering that the large majority of the composers, as well as all three performers who comprise Les Folles Alliées, are female. Given the aesthetic and methodical variety of the selected composers, there were a rich mixture of styles and forms explored: some presented more literal, yet thoroughly contemporary and innovative exploitations of the musical and structural foundations of La Folia, while others tapped into the psyche of the theme, producing largely conceptual evocations associated with its connotative qualities. Though each inhabits a decidedly distinct sonic world, these twelve compositions form a united front; partly in the fact that the theme functions primarily as a mere reference point – as a way forward beyond traditional notions of ‘theme and variation’ – and also insofar as each variation embodies some degree of abstraction and separation from the theme itself, regardless of whether that abstraction is one of a musical nature, or one of a conceptual nature. In Les Folles Alliées’ November 2012 performance at Western Front, the variations were thoughtfully curated into groups of three, though one could really separate them more broadly into two groups of six: the more literal variations to open, followed by a gradual digression into the increasingly more estranged. Throughout the first half of the program, one can still detect traces of the original theme wafting in and out; brief though they are, however, as most variations abruptly project into some distanced contrapuntal trajectory. 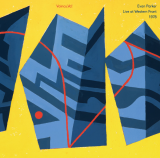 Eric Clark’s song I stands out with its largely reductionist and minimalist approach, which features the harpsichord elaborating a sort of wandering, circular line about the theme’s bass progression. An added voicing instrument, viola da gamba in this case, introduces various Folia-esque melodic gestures that are somewhat interjected within the harpsichord texture, pulling apart the progressive nature of the original, as if unthreading and unraveling La Folia until the harpsichord emerges as its own disjointed entity. One of Tawnie Olson’s two contributions, titled La Folia, was composed in 2008 as a solo harpsichord piece written specifically for Clark, and served as the initial seed of the entire project. Like song I, La Folia also reduces reference to the original theme in terms of the bass line, which is also intertwined with a series of micro variations containing abstracted harmonies and complex rhythms that manipulate the theme throughout the duration of the piece. The extreme virtuosity required on the part of the performer is quite evident in this piece, as it ought to have been in keeping with the spirit of the original theme. Emily Doolittle’s Folie à Deux shares certain similarities with the aforementioned pieces as well in that the harpsichord takes its cue from the La Folia chord progression while the flute performs a sort of floating elaboration on somewhat-related tones. This piece is a fluttering play between connection and disconnection; the two voices merge every so often, but it’s short lived before each ventures into an unfamiliar harmonic mentality. No doubt, indeed, that these pieces embody a clear juxtaposition of the old with the new; a contemporary interpretation on an ancient practice. The second half of the program takes a leap toward the ever more abstract, inhabiting some of the aesthetic and psychological ideas and concepts that La Folia stands for. The first few pieces in particular seemed to speak more to the conceptual, exploring the manner in which sound can reflect the process of becoming alienated from a solid, empirical belonging. One of the most striking pieces in this respect was without doubt Martin Arnold’s Leaflitter. This piece was written specifically for Palacio-Quintin, and employs fixed tape playback to accompany live bass flute. Not unlike Eric Clark’s reductionist composition, Leaflitter has a certain minimalistic and distanced quality to it, on account of its very sparse and transient nature. While the flute performs a sort of droning, non-directional line of tones placed in close proximity to one another, the tape reiterates with periodic whistles that are slow and fragile, simultaneously soothing and unnerving in character. These field recordings of human whistling were gathered in the performer’s home and engage a variety of ambient microphone placements: some were placed directly in front of the performer, others were placed to face walls or were set in different rooms throughout the house, and even others were directed toward the outside of the house so as to capture extraneous environmental noises. The piece is overall quite disjointed and distant in nature, evoking a tiered experience in which one feels the separation between their physical sensations and the environment from which the sound emerges. One acknowledges the presence of familiar timbres and gestures, however the highly detached and incongruous character of the piece, as well as its general lack of teleological design, embodies what one might describe as that feeling of dissociation uniquely characteristic to processes of transformation and transition; one can see, but can no longer grasp. Arnold points to his interpretation of the term ‘folia’ as it exists in Latin as ‘leaves’, though, as he offers in his program notes for the piece, “not leaves functioning in their role as part of a plant-machine. I’m thinking about leaves after they leave the system; when they are randomly strewn about with other debris to form a slowly ever-shifting bed on the forest floor, still barely recognizable as leaves but always becoming something else.” Although Leaflitter is certainly mellower than a traditional La Folia variation might be permitted to embrace, a similar transformative feeling slumbers in the idea of the latter, with its sympathy toward detachment and meandering psychological transverse. The two pieces that followed explore a similar aspect of these curious notions of disjoint and transformation, though in somewhat different terms. Marie Claire Saindon’s Duo visio for solo viola da gamba does it musically, by presenting two contrasting themes: the first is non-metered, freely moving, and contemplative; the second is nervous, incessant, and agitated. The juxtaposition and apparent antagonism between the two themes exposes a rather anxious temperament that extends into a state of manic abandon, eventually giving way into some undefined conjoining of the two worlds; in so doing, the piece heralds an almost peaceful after-thought of the process of ‘becoming’ as a sort of functional synthesis that can emerge despite initial separation. Chantale La Plante’s Place Tahrir for trio and electronics – again, fixed tape playback consisting of manipulations of pre-recorded material derived from the three instruments of the trio – on the other hand, aims to embody a sort of distended character, but through a highly abstract and phenomenological process: by attempting to sonically represent the sensational qualities associated with such experiences of disjoint and transition. Her contribution is deeply expressive of various aural hues, and although it is seemingly static at the macro level, its innards, so to speak, are in a state of continual shift on account of minute and subtle melodic movements. La Plante describes it as “timbral music” that seeks to encompass qualitative connections between different sounds and sensations. Named in reference to the site where the recent deposing of Egypt’s Hosni Mubarak was centered, Place Tahrir captures a muted, yet undeniable atmosphere of tension. The final variations of the program consisted of what were arguably the more adapted compositions, all focusing quite stringently on the explicitly psychological implications of La Folia and, in particular, its reference to madness and manic behaviour. Kimberley Shepherd states quite clearly that she was influenced by the presence of such implications in Non Compos Mentis for full trio, which saw its premiere at Western Front. This composition navigates a variety of musical terrains, which are deliberately juxtaposed and thus create the sense that each new sonic landscape is an unwelcomed intruder into the world of its successor. As in previous pieces, this dialectical disposition builds into an unsettling anxiety, leaving the listener yearning for a resolution or absolve that never materializes. Meanwhile, Analia Llugdar’s Telesita for viola da gamba and harpsichord explores a similar idea, but appropriated with respect to La Folia’s origins as a dance that was meant to symbolize uninhibited excess and ritualistic repetition of gesture. 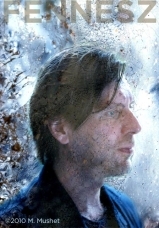 As is the case in so much early music revival, there is an overt awareness in this project that something “old” is being purposively re-invented with a contemporary skin; and who better to take on such a project than three performers whose practices are concerned with an amalgamation of the historical and the contemporary. Even the more literal variations that sought to develop the musical characteristics and structures of La Folia exhibit some unmistakably modern and abstracted elements that push them into the lexicon of the experimental. That being said, the idea of conceptual appropriation is, too, exceedingly modern, and relatively uncommon. What’s more, of course, is that the very nature of the project itself typifies an exceedingly current commentary on the state of bygone social behaviours: although it was certainly not unusual for groups of composers and performers to collaborate on collective musical ideas at the time of La Folia’s genesis, the portioning of composers and performers in favour of an assembly that is almost entirely female is, even in this day and age, something to take note of. Even more curiously so considering the fact that, at its more conceptual levels, La Folia radiates convictions of liberation and impassioned removal from ones usual inhibitions. A decidedly striking connection, it would seem, however according to the performers, such parallels had no influence on their proclivity for women composers. Despite the numerous La Folia interpretations that have surfaced over the centuries and the increasing attention that is being given to contemporary interpretations of early music, it is relatively safe to say that a project of this scope and depth, one that compactly embodies and illuminates the various personas of La Folia, has not been undertaken elsewhere. So, thankfully, even if the scores and recordings don’t stand the test of time, the spirit of Les Folles Alliées will still roam as that of an unequivocal pioneer. Les Folles Alliées live at the Western Front on November 8, 2012. Image by Ben Wilson.